HomeBeautyThe perfect Wedding Destination. Beach Wedding? The perfect Wedding Destination. Beach Wedding? The importance of a superb wedding venue easily rubs shoulders with finding that perfect wedding dress. All eyes will be on you, that is a given, but it’s paramount that your bridal beauty is matched by an equally stunning setting that will make this huge day complete. Planning the most important event of your life involves a great deal of details, such as music, décor, the dress, bridesmaids and groomsmen, as well as all other guests, which makes the choice of venue all the more significant. Before you can even begin to take care of all these items on your wedding checklist, it’s vital to scout out and book a venue of your dreams as everything starts from here and is dictated by it. Brainstorming ideas is always a foolproof plan, so have a constructive sit-down with your spouse-to-be and hash out all the major decisions. Think of the number of quests and the size of the wedding you want – and that your budget can cover. Mull over the general vibe and the theme of the wedding – do you long for a rustic wedding, an over-the-top black-tie, or perhaps a low-key bohemian wedding. Once you’ve landed on a theme and the size of the event, choosing a venue that is totally you is a piece of that delicious cake you’ll be cutting together. Many couples today are ditching the tradition of throwing huge wedding receptions in hotels and are opting for a more intimate version that takes place in your lovely garden. These types of weddings are gorgeous as they are overwhelmingly sentimental and private. Furthermore, the fact that you’re tying the knot with only close family and friends makes it all the more romantic. However, when planning such an event you need to be ready to be extremely hands-on, as you’ll have to rent tables and chairs, hire caterers and decorators, but if you’re willing to walk the extra mile in order to create something entirely personal and personalized, go right ahead. Ah, the charm of a low-key beach wedding – it is every bohemian couple’s dream scenario. If you two want that perfect amalgamation of sandy boho and chic upscale vibes, there is a breathtaking wedding venue in Hong Kong that can fulfill your vision and give you exactly what you need. The restaurant boasts a stunning outdoor terrace, perfect for a summer wedding, and the best part is – it is just a few feet away from the beach, so the free-spirited couple can tie the knot with their feet in the sand with their closest ones by their side, along with the mighty sea that makes for a spectacular setting for saying ‘I do’. The food is superb, so you have no worries in that department either. If a perfect blend of fancy and relaxed is what you’re looking for, look no further. Elope destination weddings are all the rage among modern couples who don’t care for traditional dinners; who just wish to celebrate their love and make a commitment to each other away from everyone’s eyes. If eloping is on your mind, you should still look for a spectacular setting as it will (aside from the officiator) be your only ‘guest’ – and when it comes to romance, very few destinations can beat Florence, Italy. What more could two lovebirds want aside from amazing architecture and surroundings that only emphasize the intimate romantic feel? Beyond the romance this city exudes, the technical side is a walk in the park – foreigners are granted marriage licenses very quickly, so you don’t have to deal with a great deal of bureaucracy. And since you’re already alone, you can start your honeymoon right away. Finally, there is the fourth type of couple who is more focused on the ‘party’ than the ‘wedding’ aspect. These are the super-chill couples who just want to tie the knot in a local church or even city hall and jump right into the party mode in one of their favorite pubs – perhaps even a pub where they first met. 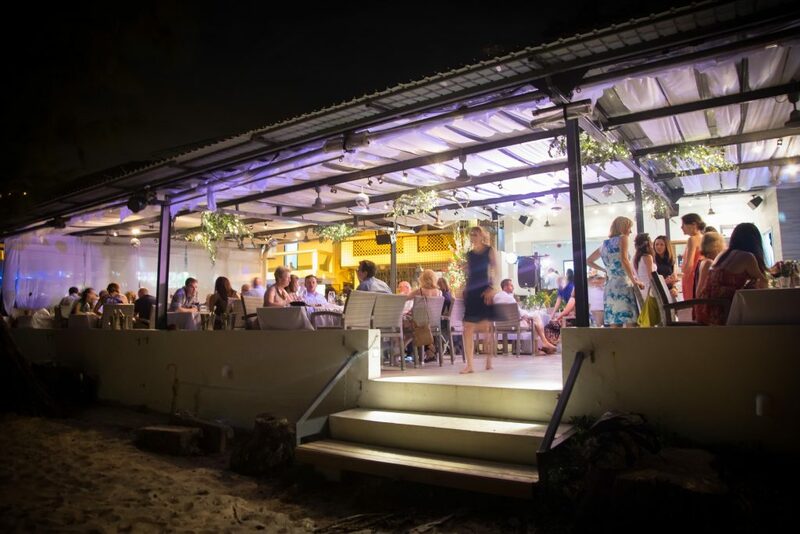 There could be live music or a DJ, and the atmosphere is generally extremely laid back and informal. When it comes to the food, a buffet of finger or fried foods is the usual route. The décor can be kept minimal, since the pub has its own vibe and excessive embellishing isn’t really up your alley. This kind of a wedding venue will certainly not break the bank, which is one of the pros, as well as the fact that you don’t have to concern yourself with formalities and can just dance the night away. Still, make sure this low-key version is truly what you want, because you don’t want to look back one day and think you should have ‘scaled it up a bit. The era of cookie-cutter weddings is over, as every couple desires an event that will reflect their personality and couple style. When in doubt, always go with your gut and follow your instinct, because this is your day and it should be just as you envisioned it. 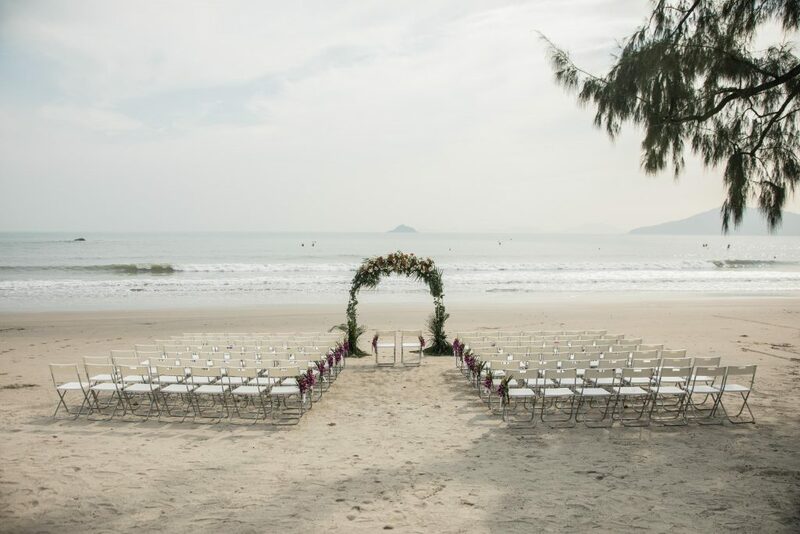 Fabulous beach weddings can be done in Hong Kong. 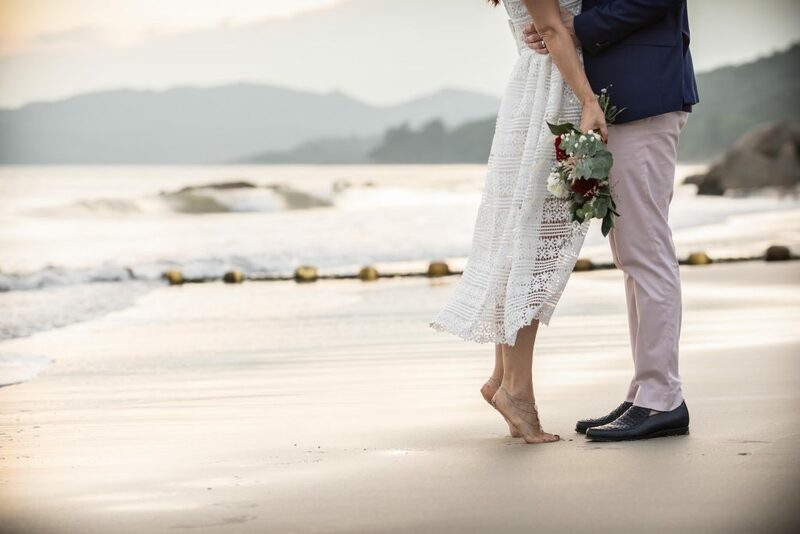 Bathers at Lantau is an unique, unforgettable, romantic location for your special day.